Back to Basics is a monthly column written by Marshall Chasin for the Hearing Review. Permission has been granted to reprint some of these columns in Canadian Audiologist. There are a multitude of apps for smartphones that can turn them into sound-level meters, recording devices, playback devices, and even allow them to be coupled with external devices for hearing aids via Bluetooth or other wireless protocols. However, each step in the recording/playback/control pathways can add some error to the final measured result. Some of these errors are small and are well-discussed in the literature, such as the range of usefulness of a smartphone as a sound-level meter; other sources of error are less discussed in the literature. 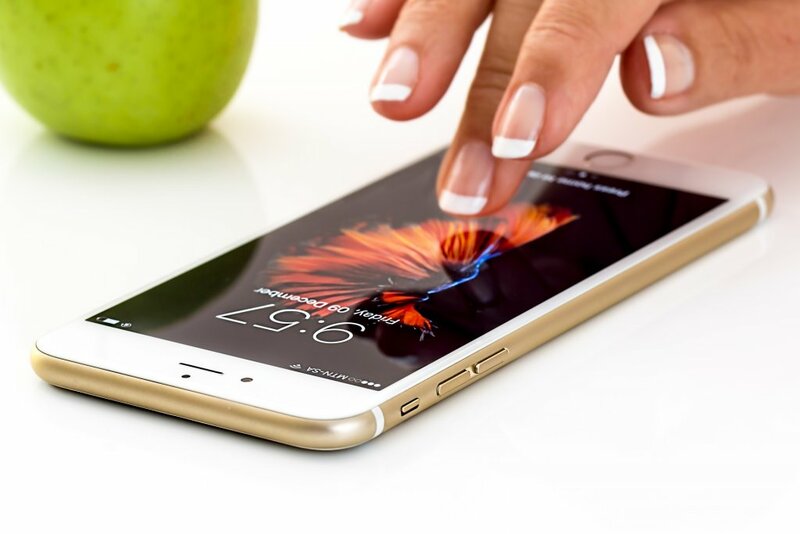 Starting at the “beginning,” it’s important to realize that smartphones have microphones that are quite amazing for their size and whose production quality is quite high given the sheer numbers that need to be manufactured. They are MEMS microphones and that stands for Microelectromechanical systems. These are from the cell phone industry, and many have built-in A/D converters. MEMS microphones use silicon instead of Teflon, an element that can get hotter before it starts to lose electrons. MEMS microphones still lose electrons though, which is why they use a charge pump to replace the lost electrons on the microphone diaphragm. You can leave the smartphone in your car with temperatures hovering around 40° C (104° F), with no ill effect on its hardware function—the case may be melted, but the microphone should still work well. So far so good. But many of the modern smartphones have more than one microphone. The reason is the same reason why modern hearing aids also have more than one microphone. This allows the microphone system to be directional in the sense that it helps to reject unwanted noise if the noise is coming from the rear direction. Although this noise-rejection strategy can be very useful, it may be problematic if the noise is what you want to measure. For example, if one wants to use an app that turns the smartphone into a sound-level meter, then this can pose problems if the smartphone is not held properly or aimed appropriately at the noise source. While use of a MEMS microphone has added substantially to the quality of modern smartphones, there are limitations with the dynamic range. The dynamic range is the difference in decibels between the quietest sound that can be transduced by the microphone and the loudest one. The dynamic range for modern MEMS microphones is on the order of 60 dB. The difference between the softest speech sound (“th” as in “thin”) and the loudest sound (“a” as in “father”) is about 35 dB. A MEMS microphone that can handle a 60 dB range is, therefore, quite adequate for speech. It may be a different story for inputs that have a greater dynamic range, such as music and noise. Some form of compression or AGC would be required to match the large dynamic range of music to the 60 dB dynamic range capability of a MEMS microphone. And to further complicate things, many microphones have a frequency response that has been optimized for phone communication; after all, these are telephones. The issue arises if one wants to measure sound sources that are not speech or speech-like. This may include using the smartphone as a noise-measuring device or as a music recorder. The frequency region of concern consists of the bass notes below middle C on the piano keyboard. Having said this, app developers can use an “Application Programming Interface” or API that is provided by the smartphone manufacturers on their operating systems (OS). These APIs can assist to provide a broader frequency response, as well as disable certain features such as compression or AGC that would normally be implemented. Not all developers use these APIs similarly, with the result that two seemingly similar apps may function quite differently. A strategy that some app developers have used is to utilize an external microphone that is connected directly to the smartphone. This obviates many of the concerns about using the internal microphone(s) and some of the design parameters (eg, compression and directionality) which may have posed a problem. Therefore, not all smartphone microphones are created equal. Well, actually they are, but the subsequent hardware and software design decisions can create quite different animals. Original citation for this article: Chasin M. Smartphones and microphones. Hearing Review. 2017;24(12):10.